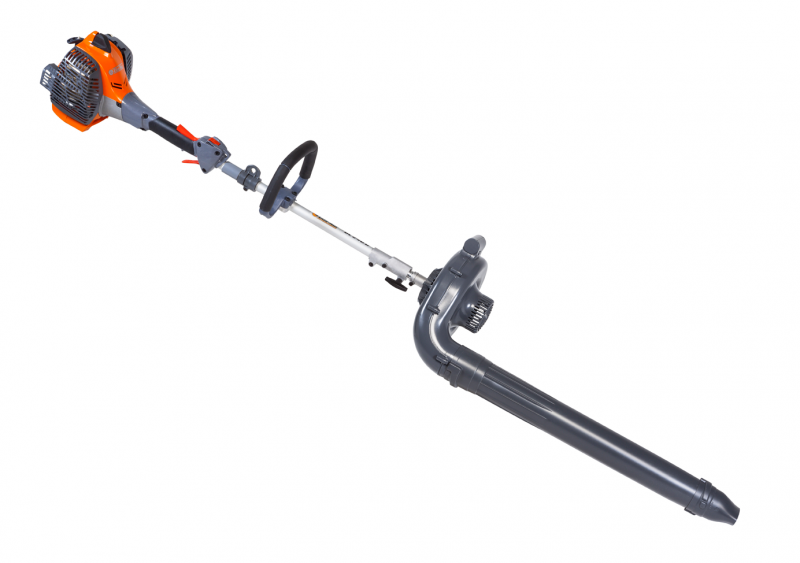 After cutting the grass, trimming the hedge and pruning the trees, the no tools quick fit system makes it possible to install the blower application: The ideal tool to remove leaves, brush and debris from the garden . Ecologically advanced, quiet, lightweight and very contained fuel consumption. By fitting the 0.75m shaft makes it possible to increase the length of the drive tube in order to reach taller hedges and branches. "Easy on" device reduces force with each pull and fast starting with fewer rope pulls. "No tools" quick fit system which enables the operator to switch from one application to another within seconds and without the needs for tools. Also save space, transport and storage.